I tried stacking my sunspots again and I was actually more pleased with the clarity of single frames rather than the stacking result. I did some developing in Lightroom, which included turning down the contrast (brings out the lighter area around the sunspot) and turning down the shadow (similar to decreasing contrast) and turning up the clarity (just a bit). Next I brought the brightness down a little bit and was pretty pleased. This is a gigantic sunspot! I can't wait to see if it is still in view during the partial solar eclipse on Thursday. 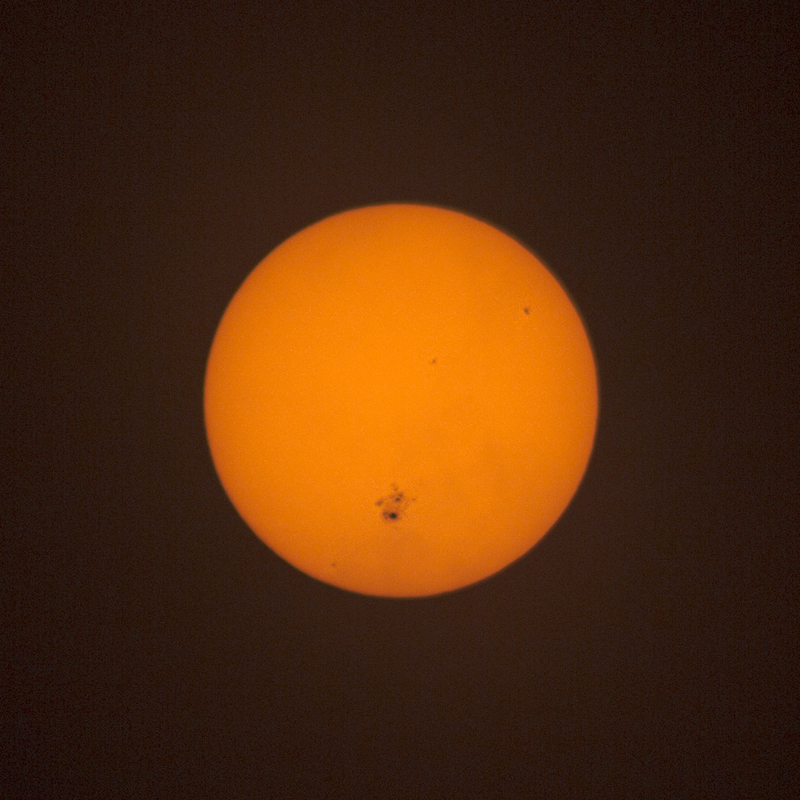 I'm bringing my camera with solar filter to work with me on Thursday, and I'm also hoping to get a shot with some foreground - which I'm learning uses much different settings compared to the shots through the filter. 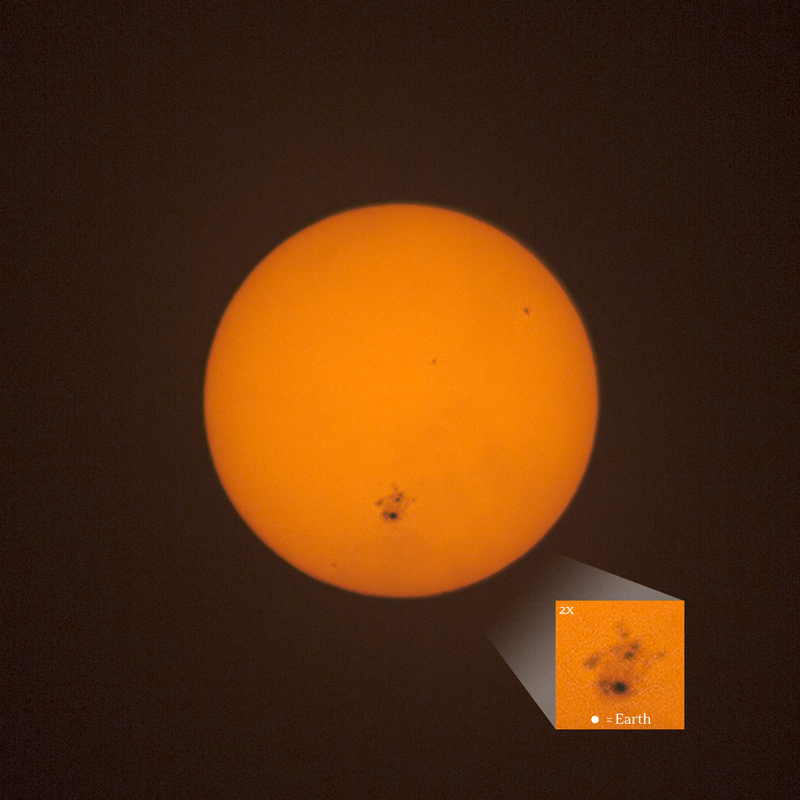 Check out my home made DSLR solar filter shoutout on Universe Today!